Mother Teresa Canonization 4th September 2016 Candle. 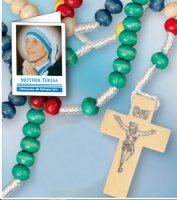 Memorabilia 2016 Prayer Card with Crucifix Mother Teresa (St Teresa). St Teresa of Calcutta (Mother Teresa) Heart Medal. 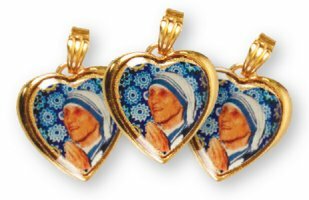 Mother Teresa Souvenirs 4th September 2016 Fridge Magnet. St Teresa of Calcutta (Mother Teresa) Corded Rosary. 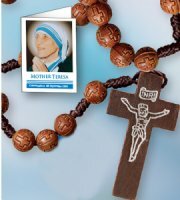 St Teresa of Calcutta (Mother Teresa) Missionary Rosary. 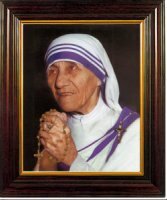 St Teresa of Calcutta (Mother Teresa) Framed Picture. 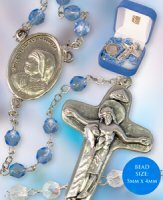 St Teresa of Calcutta (Mother Teresa) Blue Glass Rosary.